Husqvarna PG280 floor grinder for sale. This is a single disc floor grinder that you can quickly convert for edge grinding on both sides. It efficiently grinds adhesives, paint, epoxy and spackle. 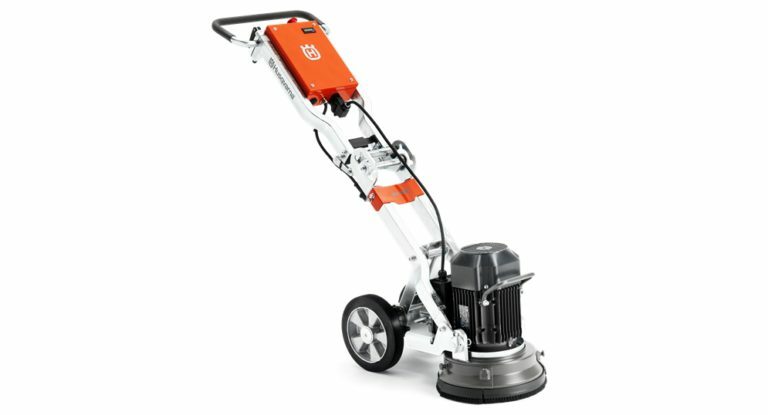 With a grinding width of 280mm it is suitable for small to medium concrete areas. It is available in both 1- and 3-phase versions. Price quoted relates to 220 volt electric. We have a variety of floor grinders for sale. Larger floor grinders can be supplied is various sizes: 400mm, 450mm, 530mm, 680mm, 820mm.